Forging the new Cabinet and reorganising the government for President Uhuru Kenyatta’s second term and DP Ruto’s springboard to State House in 2022 require a pragmatic balance of politics and professionalism. The wisdom of Solomon wouldn’t hurt. A new set up must fortify Jubilee for the future by rewarding loyalists, roping in critics, recognising communities and regional players and by strengthening governance and delivering development. The calculus of coveted Cabinet appointments is still in flux. “It is a delicate balance. The changes must win political goodwill and must ensure a lot is achieved in the limited time in the President’s last term,” an insider told the Star. This month the President and DP are to go on a retreat to forge their team for Uhuru’s legacy and Ruto’s run for President in 2022. Jockeying and lobbying for positions is feverish. Different lists of proposed Cabinet Secretaries, PSs and other government and parastatal chiefs have been circulating. The process and selection are in flux. What is clear is that most of the 19 Cabinet Secretaries will go, some to be given consolation prizes. The Cabinet will be increased from 19 to 22. Sources close to the presidency indicate appointments for the Cabinet will be 20 per cent political figures and 80 per cent professionals. There is no constitutional limit to the number of PSs and they are to be increased. All are to be professionals, with the aim of ensuring government policies align with the Jubilee manifesto. More loyalists Ruto allies will be put in place. The Star has learnt Uhuru and Ruto are to come up with a Executive Order outlining new roles in ministries and departments. Ruto is expected to play a larger role in government operation. Some directorates in his office will be elevated to more powerful State departments. Key among these are the Efficiency Monitoring Unit, Inter-Governmental Relations and the Inspectorate of State Corporations, which will now be headed by Principal Secretaries. The Public Service Commission has already shortlisted 120 candidates for Principal Secretaries. More than half of the current PSs are expected to go. The list derived from more than 4,000 applications contains the names of heads of government bodies, indicating the Jubilee duo is seeking to put together its administration from within. As Parliament passed the budget in June, Jubilee quietly approved the gratuity for all CSs and PSs in case the President wanted to change them once his new term started. However, the changes may not come too soon. “The anticipated changes may actually happen next year. There is not enough time to have Parliament vet them before the holidays,” a source close to the Presidency said. Delay in naming the Cabinet is said to have been caused by efforts to accommodate new partners in the new Jubilee administration. Gideon Moi’s Kanu has already forwarded the names of people it wants appointed to Cabinet, PS, parastatal and diplomatic posts. Power brokers and influential businessmen close to Uhuru and Ruto are lobbying for their favourites to be appointed to protect their interests. Uhuru and Ruto are keen to accommodate youthful professionals and women in the Cabinet as they craft a team able to deliver fast results. 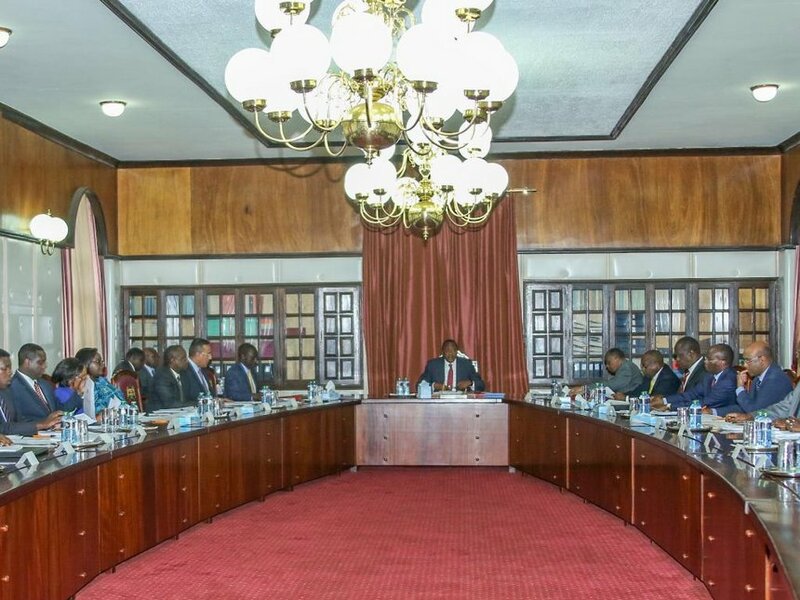 On Tuesday, MPs will put in place the Appointment Committee, which will vet nominated Cabinet Secretaries. However, MPs are to go on recess after the Thursday session before the Christmas holidays and return on February 12. They could be recalled if necessary. Balancing professionals and politicians is key to Uhuru’s legacy as well as Ruto’s launching pad to the Presidency in 2022. Politicians and party loyalists defeated in the General Election have been lobbying for jobs in the new line-up. The Star has established some will be rewarded with posts in diplomatic missions, some will be CEOs of state corporations and chairpersons, board members of parastatals. Among the professionals President Uhuru will be retaining, according to insiders, is Industrialisation CS Adan Mohammed who is expected to take up the national Treasury docket currently under Henry Rotich. There are indications Rotich will move to Agriculture, a powerful docket. Mohammed, a career banker, gained favour for his achievements, including. several international summits, trade conventions in Kenya and trade deals signed with other countries. The Jubilee government is said to be eying the international money market and another Eurobond to fund infrastructure projects. Rotich has been identified as a key player who helped the government tackle effects of the devastating drought from late 2015 through cash transfers and animal purchase programmes in arid regions. Among those expected to be rewarded are former Nakuru Governor Kinuthia Mbugua who is tipped to become State House Comptroller. Uhuru’s poll agent during the August 8 General Election, Davis Chirchir, is favored to be the next Secretary to the Cabinet. According to the sources close to discussions, the Principal Secretary in the ministry of Energy and Petroleum, Eng. Joseph Njoroge is tipped to be the next Chief of Staff of the President and Head of Civil Service. Current Chief of Staff Joseph Kinyua is set to retire. Education CS Fred Matiang’i is said to be the likely pick for CS of Interior and Coordination of the National Government. He has been acting Interior CS since the death of Joseph Nkaissery four months ago. Transport Cabinet Secretary James Macharia is tipped to take Matiang’i’s place at Jogoo House as CS for Education, Science and Technology. Charles Keter is likely to retain the Energy docket. The Constitution says the Cabinet must have a minimum of 14 and maximum of 22 CSs. Thee is no limit to the number of PSs.